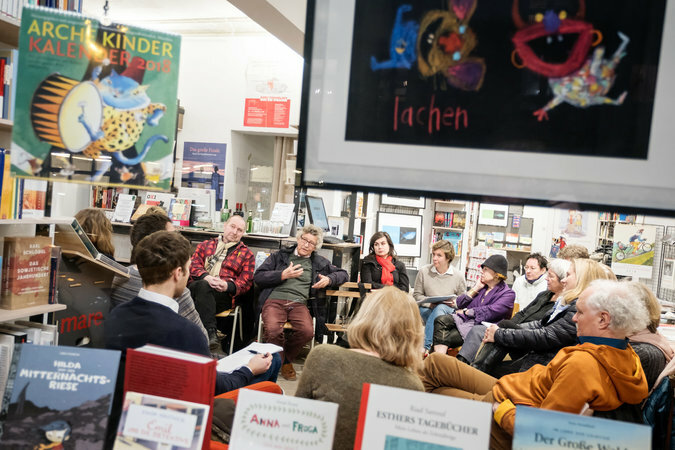 In Germany, Mr. Braunsdorf’s efforts are part of a long tradition in which bookstores play an active role in civil society, said Johanna Hahn, director of the German Association of Booksellers in Berlin and Brandenburg. In German bookstore circles, the topic of nationalism and fascism is particularly prominent now, Ms. Hahn added. This follows the rise of groups like the Patriotic Europeans Against the Islamization of the West and Alternative for Germany, or AfD, which won 12.6 percent of the national vote in September, making it the first far-right party to sit in Parliament in 60 years. 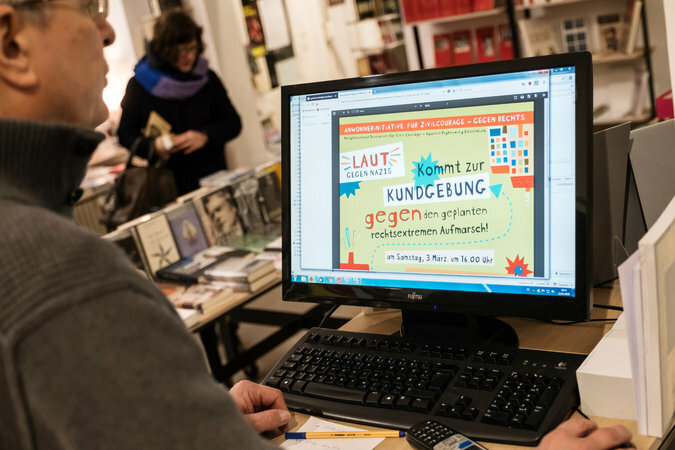 For Mr. Braunsdorf, 58, social engagement has always been part of running a bookstore. Originally from Weztlar, a small city in what was then West Germany, Mr. Braunsdorf started working in his 20s at a book collective there run by a group of his young left-wing friends. They did not do much business, but the shop was a meeting place for students and activists: There, they printed fliers decrying nuclear power plants or calling for affordable housing. The same could be said of Mr. Braunsdorf. Last month, as the crowd of protesters grew, Ralf Teepe expressed his appreciation for Mr. Braunsdorf’s bookstore, which he said he visited once a week, in lieu of church, for spiritual enrichment. Mr. Teepe, a civil servant with the foreign service who recently moved back to Berlin after years in Africa and elsewhere, had joined Mr. Braunsdorf a few blocks from the bookstore. He too wanted to protest the neo-Nazis who were headed to the neighborhood. After the black-clad line of right-wingers had passed behind a line of police officers — greeted by chants of “Nazis out!” — the crowds dispersed. Elnura Yivazada, who works in culture management and heard about the protest through the bookstore, took a moment to stay and listen to the last musical act, before heading home to warm up.